SCP-3595's primary manifestation area in 1989, shortly before it ceased anomalous activity. Special Containment Procedures: As of 3 Oct 1990, SCP-3595 is considered neutralized. Remaining civilians displaying knowledge of SCP-3595 have been issued amnestics and current containment protocol consists of keeping knowledge of its former anomalous activities from the general public. Low-level information about SCP-3595 as a "border ghost" continues to persist among civilians, but identifying memories of SCP-3595 have been removed from all known affected subjects. The village of Mödlareuth has not displayed any anomalous properties since SCP-3595's neutralization, and Foundation agents formerly stationed in the town have been withdrawn as of 1993. Description: SCP-3595 was a humanoid entity that periodically manifested in the town of Mödlareuth1, a German village that was divided between the Federal Republic of Germany (West Germany) and the German Democratic Republic (East Germany) during the Cold War from 1949-1990. SCP-3595 was identical in appearance and voice to Christian Schmidt (1937-1952), a 14-year-old adolescent male who was murdered by East German border guards on 30 Jul 1952 while attempting to cross from the West German side of Mödlareuth to the Eastern side. SCP-3595 possessed mild suggestive abilities which allowed it to influence the emotional state of any persons within its vicinity during a manifestation event; usually these were feelings of sadness or anger, except towards the conclusion of the manifestations (see Event Log). Attempts to terminate manifestation events before their completion resulted in SCP-3595 reappearing nearby unharmed. SCP-3595's manifestation events were correlated with periods of political turmoil and strife between the two Germanies; Foundation researchers lent support to the theory that SCP-3595 was attempting to express its disapproval at German disunity given its family history. SCP-3595's first recorded manifestation took place in 1961, and the last occurred in 1990, during German reunification. From 1966 to 1989, SCP-3595 appeared in a secondary manifestation event centered around Heinrich Schmidt (see Event Log). Christian Schmidt in an undated photo, c. 1948-49. BIOGRAPHICAL INFORMATION: Christian Schmidt was born in 1937 to parents Hanna (1914-2000) and Adolf Schmidt (1913-2001). Although both hailed from Mödlareuth, Hanna's family lived on the Bavarian (West German) side and Adolf's family lived on the Thuringian (East German) side. From 1949 onwards their in-laws were thus divided by the border, which became separated by a physical fence in 1952. Christian grew up with his parents and his mother's family living in close proximity on the West German side, occasionally making visits to the other family before the border was closed. 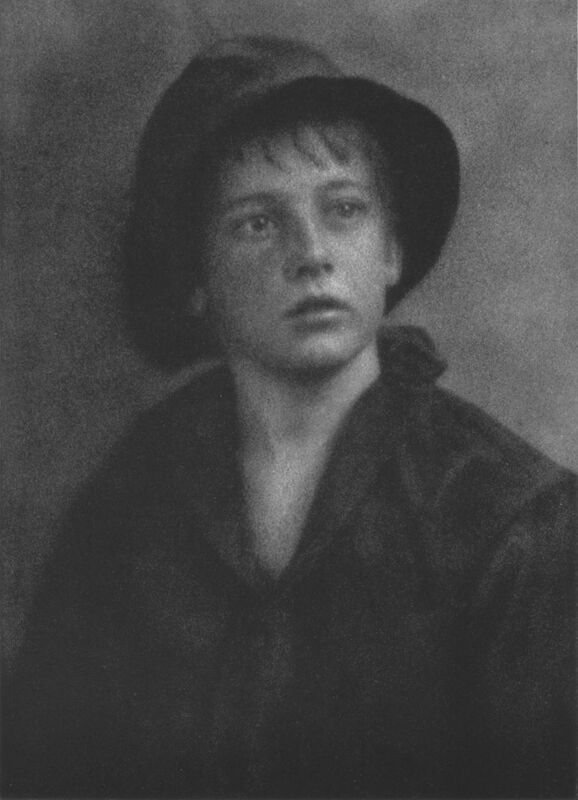 Although Christian excelled in school and was described by friends and relatives as inquisitive and friendly, he expressed dismay at the division of his extended family by the border. In particular, he greatly missed the regular visits to his uncle Heinrich (1911-2005), and eventually decided to make a visit to him without his parents' knowledge. On 30 Jul 1952, Christian attempted to cross the border dividing his village; despite stern warnings from the border guards, he insisted on trying to make it over and was mortally wounded by a shot from an East German border guard while crossing the narrow creek that separated the two sides. Christian's death caused a minor international incident between the two Germanies and border patrol by the GDR become even more stringent following the incident. In 1962, the Foundation entered into a confidential agreement with the Soviet Union, the German Democratic Republic, and the Federal Republic of Germany on the containment of SCP-35952. The Foundation agreed to administer containment efforts on both sides of the border with the understanding that Foundation agents would not attempt entry into East Germany outside of Mödlareuth without the approval of East German authorities. Correlated Contemporary Event: West Berlin border closed by GDR authorities; construction of Berlin Wall begins. Primary Manifestation Event Summary: This was the first recorded SCP-3595 manifestation event, taking place before Foundation containment was established and primarily relying on civilian eyewitness reports for its accuracy. At midnight, an East German border guard reported seeing an adolescent male banging on the border fence; when he attempted to apprehend the child, it disappeared from his hands and re-manifested on the opposite side of the border while repeating the same behavior. Process continued for approximately two hours until Stasi agents locked down the East German side of the town; West German authorities arrived on the opposite side shortly after. The Soviet Union instructed GRU Division "P" to begin initial investigation and research protocols; duties transferred to Foundation researchers the following year. SCP-3595 Emotional Effect Summary: Residents on both sides of the border reported feelings of unease and dread, with some expressing concern that a nuclear war might begin soon. Analysis of civilian conversations by the GRU indicated unusually frequent mentions of Christian Schmidt in casual conversation, leading to his identification as SCP-3595. Correlated Contemporary Event: Increased tension between East and West Germany following a letter of reconciliation delivered from Polish bishops to German bishops the previous November. The Communist East German and Polish authorities interpreted the letter as a threat to their rule, and the Roman Catholic Primate of Poland was denied a visa to visit East Germany. Primary Manifestation Event Summary: SCP-3595 appeared on the top of the border fence shortly after 09:00, as local church services were beginning. After stretching its arms out horizontally (presumably in imitation of Jesus on the cross), SCP-3595 sang the Old 100th hymn Praise God From Whom All Blessings Flow. After completing the hymn, SCP-3595 sat down on top of the fence with its head in its hands and looked toward the eastern side of Mödlareuth with an expression of sorrow for approximately half an hour. Attempts to remove it from its location were unsuccessful, and it displayed no reaction to Foundation personnel's repeated efforts to move it. Amnestics dispersed. Secondary Manifestation Event Summary: This is the first recorded manifestation event involving Heinrich Schmidt, taking place approximately an hour after the primary event. During standard interrogation, Heinrich reported seeing SCP-3595 manifest in his kitchen and attempt to make conversation with him. After overcoming his initial shock at apparently seeing his nephew alive, he spoke with it for fifteen minutes before alerting authorities. SCP-3595 expressed dismay at not being able to see his uncle for so long, and repeatedly voiced its desire to see their town united again. Heinrich explained the Cold War and the reasons the border would stay closed, and SCP-3595 grew angry and de-manifested. Following a brief debate among researchers, it was decided to enlist Heinrich Schmidt's cooperation in the study of SCP-3595 while placing him under 24/7 surveillance with the assistance of local Stasi agents. SCP-3595 Emotional Affect Summary: Church attendance in Mödlareuth declined approximately 25% on the West German side, with many town residents expressing skepticism of their traditional religious beliefs. Baseline religiosity largely returned by 1970. Correlated Contemporary Event: The event associated with this manifestation was not initially identified and only became known after the conclusion of the Cold War. On 26 Sep 1983, the Soviet early-response system malfunctioned and indicated that a nuclear attack by the United States was imminent. The Soviet Air Force member on duty, Lieutenant Colonel Stanislav Petrov, correctly identified the warning as a false alarm and the day proceeded without incident. Primary Manifestation Event Summary: At 22:00 (10 P.M.), SCP-3595 appeared on the East German side of the border wall and stood still while loudly screaming without pause for approximately five minutes. SCP-3595 de-manifested after ceasing vocalization and amnestics were dispersed. Secondary Manifestation Event Summary: Heinrich Schmidt reported seeing SCP-3595 hiding under his bed, asking if the world was going to end soon. When questioned by Heinrich as to why it thought this, SCP-3595 replied that it "just knew somehow" and would not give further details. After Foundation agents attempted to enter the house and interrogate SCP-3595, the latter vanished as soon as agents were within its line of sight. This is the only recorded manifestation event that did not directly involve Intra-German relations. SCP-3595 Emotional Effect Summary: Residents of Mödlareuth expressed concern about nuclear proliferation, and specifically criticized US President Ronald Reagan for his "warmongering" rhetoric. 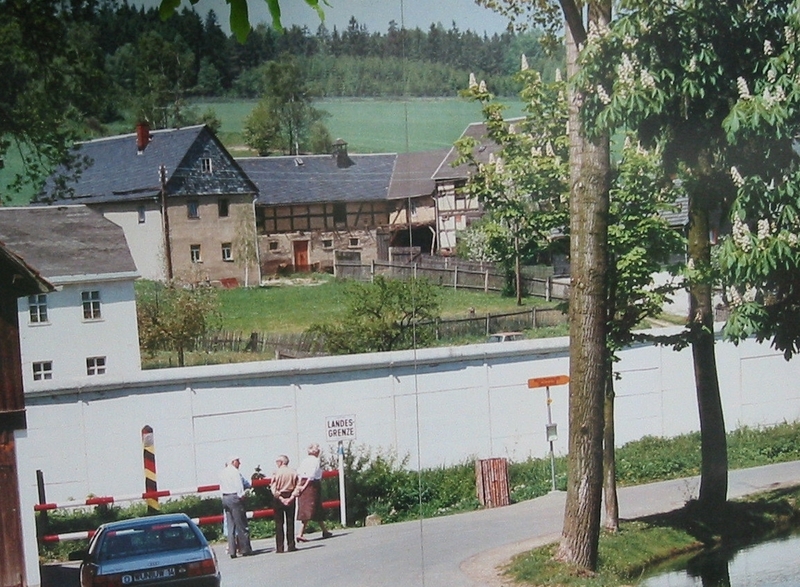 Correlated Contemporary Event: The border wall at Mödlareuth is opened one month after the Berlin Wall, and civilians are free to cross between either side for the first time in nearly forty years. Primary Manifestation Event Summary: None. Secondary Manifestation Event Summary: Uniquely among recorded SCP-3595 manifestations, only Heinrich Schmidt reported seeing it during this event. SCP-3595 expressed joy at its family being reunited again and repeatedly requested his uncle visit them on the other side of the border. After reassuring SCP-3595 that he would, it de-manifested. SCP-3595 was present in Heinrich's house for a total of forty-five minutes. SCP-3595 Emotional Effect Summary: As they met other townspeople on the opposite side of the wall, both civilians and border guards repeatedly mentioned Christian Schmidt, going so far as to call the border crossing "Christian's Passage". No other long-term effects noted. Amnestics not issued due to low-intensity of emotional effect and possible correlation with non-anomalous recollections of the murder triggered by the border opening. Addendum 3595.A: Cessation of Anomalous Activity: On 3 Oct 1990, SCP-3595's last known manifestation was recorded, occurring shortly after the official dissolution of East Germany and the reunification of the country at midnight. SCP-3595 manifested on top of a preserved section of the border wall and sang the first stanza to Auferstanden aus Ruinen (Risen From Ruins)3. After briefly pausing and smiling, SCP-3595 then sang the third stanza of Deutschlandlied4, de-manifesting after the song's conclusion. Following SCP-3595's manifestation, residents of the town reported feelings of optimism and happiness, though this may have been due to either SCP-3595's effect or the reunification of the country. SCP-3595 was not seen again after this date, and was declared Neutralized on 3 Oct 1993. 1. Colloquially called "Little Berlin" by Foundation and Allied forces, due to a wall dividing the town in a similar manner to the Berlin Wall from 1966-1990. 3. National Anthem of the German Democratic Republic. 4. National Anthem of the Federal Republic of Germany.